Cambridge, United Kingdom – June 21, 2017 – Collabora Productivity, the driving force behind putting LibreOffice in the Cloud, is proud to announce a new release of its flagship enterprise-ready cloud document suite – Collabora Online 2.1.2, including new features and improvements. 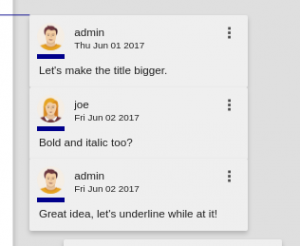 What’s new in Collabora Online 2.1.2? 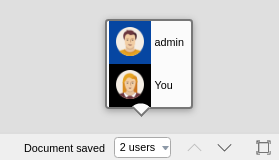 Support for avatars: The integrators can specify a pictures / avatars for the users of the documents via WOPI extension. Find & replace dialog in the text documents, in addition to the previously available Search functionality. Support for custom buttons in the toolbar. Collabora Online now introduces API for integrators to add their own functionality into the toolbars. Support for hashed admin passwords. loolconfig, new tool to configure Collabora Online: Primarily for creating new passwords, in the future we may add other configuration settings, so that it is not necessary to edit loolwsd.xml manually. Automatic detection of links in the comments. Together with the release of Collabora Online 2.1.2 we will also release version 2.1.2 of the development edition of Collabora Online: CODE. The development edition is aimed at home users and contains the latest and greatest developments. We want as many people as possible to try it out and get back control of their own online documents. We’d also love to get people involved in our efforts to make LibreOffice Online even better. Download the Docker Image, enjoy using it at home and why not participate in the project too! Any time frame when install packages will be available for Debian 9? Yeah, I found the Debian 9 packages when 2.1.3 was released. Switched from Docker then and am much happier, easier to config, easier to upgrade, seems to run faster. You guys going to recompile for an ARM64 version? No plans for that currently, at least so far no customer has asked for this, when they do: certainly. You can run a Collabora Online docker image with the Windows Docker support (I imagine) – we’d appreciate feedback on how that works out.